THE PRIZES: Top prize is a personally signed copy of the hardback, along with a poster of the front cover image (also signed), a paperback copy of Gary Fry’s The Respectable Face of Tyranny (signed), a set of posters of the covers of all the chapbooks published to date, and a Spectral badge. 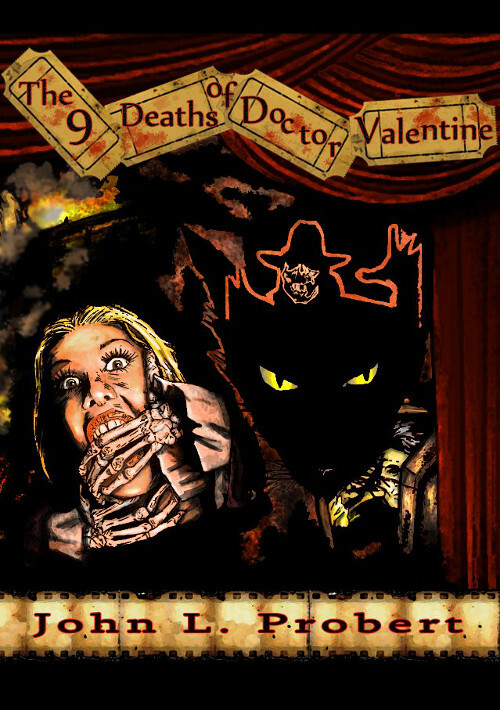 Second and third prizes for the next two correct entries will be signed paperback copies of The Nine Deaths of Dr. Valentine, accompanied by a poster of the cover image (unsigned) and a Spectral badge. In the film THEATRE OF BLOOD, how many plays made up Edward Lionheart’s final season of Shakespeare? The answer was: TEN – Julius Caesar, Troilus & Cressida, Cymbeline, Merchant of Venice, Romeo & Juliet, Richard III, Othello, Henry VI Part 1, Titus Andronicus and King Lear. And the winner is: ALISON LITTLEWOOD! Congratulations to all – we will be emailing you within the next couple of days! Congrats to all! Such good prizes! Yes, that’s because Macafee’s crap – I’ve had problems with it before (which is why I no longer use it), as it’s often advised me against visiting perfectly safe sites…. Congrats to all winners! I sincerely hope you have a wonderfully scary time with your prizes!